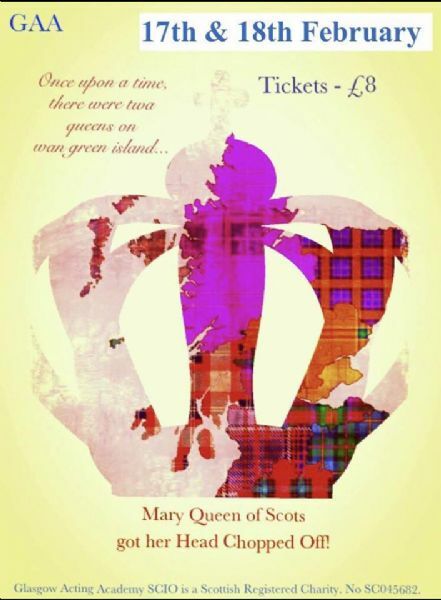 This historical play by Liz Lochhead portrays the relationship between Mary Queen of Scots and her cousin Queen Elizabeth I. Our senior acting students will be performing Mary Queen of Scots Got Her Head Chopped Off on Sunday 17th and Monday 18th February. Tickets can be purchased from the GAA office. The circus has come to town! Well… sort of. There's no elephant on a bicycle but there are the Greek Geeks and have they got a story or two to tell. More specifically, a myth or two: Pandora's Box, Persephone and the Underworld, King Midas, Athena and Arachne, and don't forget the Mythapalooza Slam Jam! 'Circus Olympus' uses comedy and physical theatre to tell the tales of some classic myths. 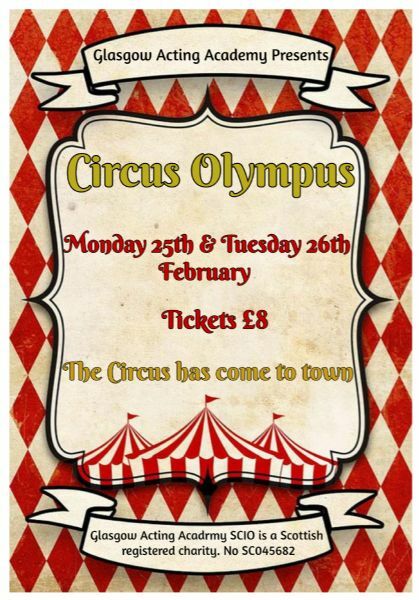 The circus comes to GAA on Monday 26th and Tuesday 27th February. Tickets are available from the office now! 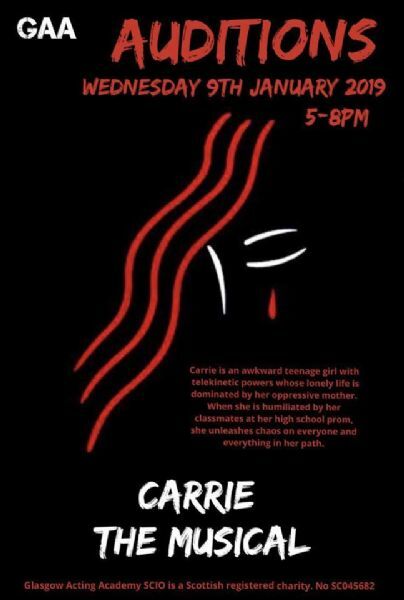 Our 2019 summer musical will be "Carrie"In this revamped, contemporary version of the famous (and infamous) 1988 production, Carrie: The Musical follows a young woman with telekinetic powers. An outcast at school, where she is bullied viciously for her differences, Carrie is also lost at home, with a fervently religious mother whose love traps her in its maw. When PE teacher Miss Gardner, kind classmate Sue Snell, and boyfriend Tommy Ross reach out to try and help Carrie, it seems that for once, Carrie might have a shot at being accepted. But Chris Hargensen, the class’s most vicious bully, has other ideas. Pushed to the brink, Carrie’s powers threaten to overwhelm her, and devour everyone around her in flame.Auditions will take place on Wednesday 9th January from 5pm-8pm and is suitable for ages 12-18. If you would like to book an audition slot, please get in touch info@glasgowactingacademy.org or 0141 237 7140. Audition packs are available from the GAA office..